Have you thought about using an FHA mortgage to buy a home? Did you know that you could lose money if the home you want to buy fails the FHA appraisal? 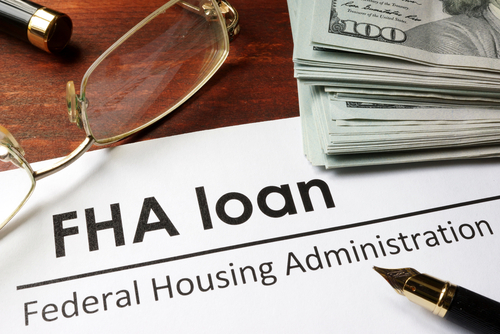 FHA (Federal Housing Administration) is a mortgage that is referred to sometimes as a first-time homeowner loan. Actually, FHA is available to any owner-occupant, at any point in their life, provided that they qualify for the mortgage. Many call the FHA mortgage the “first-time home buyer loan” because it is a little more forgiving to buyers that are, perhaps, just finishing their higher education, and have more debt than a seasoned home buyer. This forgiveness on the loan side does come with strings attached. The home that an FHA buyer purchases must meet strict guidelines in terms of condition. If the house does not meet appraisal guidelines, then you may not get to buy that home. See the Article: What Happens if I Have a Bad Home Inspection? Why is knowing if the home you are selling or wanting to buy meets the FHA guidelines? Seller, you have taken your home off the market for approximately 2-3 weeks waiting for the appraisal findings. Should your home not meet FHA guidelines and the required repairs discovered during the appraisal, you have a choice, either fix the required items or lose the buyer. Should you not agree to the terms in the appraisal, you not only have lost the buyer but have also lost valuable marketing time! Keep in mind, should you decide NOT to repair those items found by the FHA appraiser, your home is tagged for a period of time, and you will not be able to sell your home to another FHA buyer. Buyer, why should you be looking for homes that meet the FHA guidelines? Two reasons: you can waste a lot of time and you stand to lose money. Appraisals usually are ordered after the home inspection. In that case, you have already paid between $300-500 for a home inspection(s) and usually, your lender will ask you to pay for the appraisal before it is ordered. An appraisal typically costs between $300-500. So, you have already spent $1,000 BEFORE you found out the house wouldn’t qualify. That can be an expensive lesson! Learning the FHA guidelines for a home before you sell or buy can keep you from losing time and money! Here are the FHA guidelines or a framework to use. These may not include all of the items that an appraiser looks for, but these touch on the major issues most buyers and sellers face. I can tell you from experience that these issues are very hard to overcome and can make or break a deal. First, FHA looks for three main qualities in a home: it must be safe, secure and sound. What does this mean? FHA evaluates the following items in a home to determine if those three goals are being met. *All utilities must be turned on and in working order for the appraisal. Roof condition: It must have 2 to 3 years of life left. No missing shingles (roofing materials) or active leaks. The appraiser will be accessing the attic to determine if there are any issues with the roof and construction. Heating/Cooling System: It must be in working order to support healthy and comfortable living conditions and it cannot be past its useful life. Plumbing: All faucets must be in working order and there should be no leaks. You must have working toilets and tub/showers. Also, adequate water pressure and no funny smells. The appraiser will run the water and flush toilets. Electrical: No exposed wires, no missing knockouts in the electrical panel. If you are looking at a home with old wirings such as knob and tube, it will not pass the appraisal. If the home has a fuse box, it is questionable. In Florida, most insurance companies will not write a policy on a home that has a fuse box. No insurance means no loan. Windows and Doors: They must be in working order: they should open and shut properly and there cannot be any broken glass in windows or doors. Railings: Stairways and elevated porches must have railings. Paint: Homes built prior to 1978 will have to address the lead-based paint requirement. In homes built prior to 1978, there cannot be chipped or peeling paint anywhere. Chipped or peeling paint, either inside or out is a major red flag. The no peeling paint rule also pertains to outbuildings as well. Termites and other wood-destroying organisms: You MUST have this inspection. If the inspector finds past damage, it may have to be repaired. The house must be free of any active termites or wood destroying pests. Kitchen Appliances: This requirement is a little vague but here is how I have had it explained to me. All appliances must be present (refrigerator and stove). Those 2 items must work. Flooring: If there is flooring missing in the home, for example, the carpet was removed because it was damaged or badly soiled, the appraiser may call for new flooring. Foundations: No structural issues with the foundation. It must be sound. If previous work was done to the foundation, an additional inspection from a qualified engineer or company may be required. Crawl Spaces and basements must be dry, free of mildew and show no signs of structural issues. Swimming Pools: Must comply with local ordinances for safety (gated and secured). The pool must have the equipment and be in working order. If the pool is winterized, the appraiser makes the determination of whether the pool works or not. Additions to the Home/Converted Living Space: If a room addition was not built with the proper permits, it can be a problem. How can you tell if there was a room addition done without permits? Look at the tax record vs the gross living space that you observe. If the room addition or converted living space does not have heating or cooling, it could also be a red flag. Should the appraiser believe that work done to the room addition was sub par, the appraiser can fail the room. Before you make an offer on a house, ask about the permits. 90 Flip Rule: This is one that gets missed quite a bit. There is a 90-day flip rule for properties being sold to an FHA buyer. That means that if you are looking at a home that is owned by an investor who made repairs to the home and now currently has it up for sale, you may not be able to buy that house until that investor has owned the home for 90 days or more. Many get caught on this rule. Waiting may be no big deal for you and hopefully, the investor will wait. However, you as the buyer run the risk of an interest rate hike. Mold: No mold inside or outside on the home. Why the Guidelines for FHA? The FHA guidelines were created so that the buyer would be getting a safe, sound and secure home and not met with large expenses within the first year of home ownership. Sellers, preparing your home for an FHA buyer allows you to expand your would-be buyer base with the potential for selling your home at a higher amount due to the laws of supply and demand. FHA buyers are having a difficult time competing with cash buyers in many markets. Knowing and using this checklist will allow you to prepare your home and sell it without worries. I recommend doing a home inspection before you put your house up for sale. These FHA guidelines typically mean that you, as the buyer, cannot purchase a fixer upper. The home must be in good condition. If you would like to buy a home that needs repairs, you may want to consider an FHA 203K. Using this checklist can save you time, help in your property search and get you into your new home with less headache and stress. Knowledge is power! For more information on FHA guidelines for home selling or buying, contact Sandy at 941-564-9491. Sandy is a Broker Associate with over 17 years experience in helping Sellers and Buyers achieve their real estate goals. Experience does matter!! 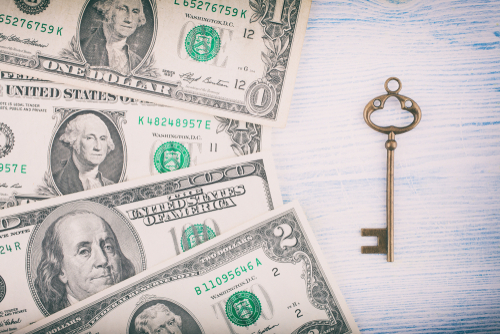 Want to Pass an FHA Loan? Here are the items the appraiser looks for 1.Roof condition 2.Electrical 3.HVAC 4. Kitchen Appliances 5. Chipped & Peeling Paint & More. See it all here. Get your home ready! Buyers pass an FHA appraisal the 1st time.